Geraldine “Gerry” Harrington, age 83, passed away Sunday, July 29, 2018 at Regent Care Nursing Center in League City, Texas. Funeral arrangemGeraldine Ann "Gerry" Smith Harrington went to be with the Lord on July 29, 2018. She was born December 11, 1934 in Oklahoma City, OK to Charles and Angelina Smith and lived most of her life in Galveston, Texas. Gerry was preceded in death by her husband Walter "Skip" Harrington; her parents Angelina Farine Smith and Charles B. Smith, Sr., and her brother, Charles B. Smith, Jr.
She is survived by her children: Dennis L. Harrington and wife Lydia of Friendswood; Lisa Anne Harrington-Kleyweg and husband Jim Kleyweg of San Diego, CA; Kevin D. Harrington and wife Edie of Galveston and David A. Harrington of Galveston; grandchildren Madeline Harrington, Paul Harrington, Lisa Renee Harrington, Alexandra Harrington and Kevin W. Harrington. 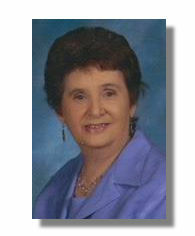 Also surviving are her twin brother Gerald Smith and sister Connie Smith Schulz as well as numerous nieces and nephews. After admirably raising her four children, Gerry worked as a kindergarten aide at Island/Parker Elementary for many years. Then after being a devoted parishioner at St. Patrick's Catholic Church, she became an employee, where she was beloved by many. She also volunteered for several local charities including "Meals on Wheels". She was an honoree at Mercy Park Association of Galveston's "2014 Yellow Rose Celebration" for her many humanitarian efforts. Earlier in life she enjoyed taking her family to the beach, playing tennis, playing cards with her girlfriends, attending her sons’ baseball games, watching her daughter cheer at football games and square dancing with Skip. Later in life she enjoyed keeping up with the successes of her cherished grandchildren and watching A & M football. A memorial service to celebrate the life of Gerry will be held on Friday, October 26, 2018 at 10 a.m. at J. Levy & Termini Funeral Home. Visitation will be held prior to service time beginning at 9 a.m. The family thanks Gerry's many friends for their love, their visits and their prayers. Special thanks to Nina Jo Serio and special friends from the Ursuline Academy Class of 1953, as well as her dear friends from St. Patrick’s, Jo Jeffries and Jintana Palomo. We also thank the staff of Harborview and Regent Care Center for their compassionate care, especially Tony Ngaruiya, Charlotte Arevalo, Kathy Anderson, and the entire team that cared for her. Memorials may be made to the Galveston Island Meals on Wheels, Catholic Charities of the Archdiocese of Galveston-Houston, or charity of your choice.ents are pending. will be held prior to service time beginning at 9:00 a.m.